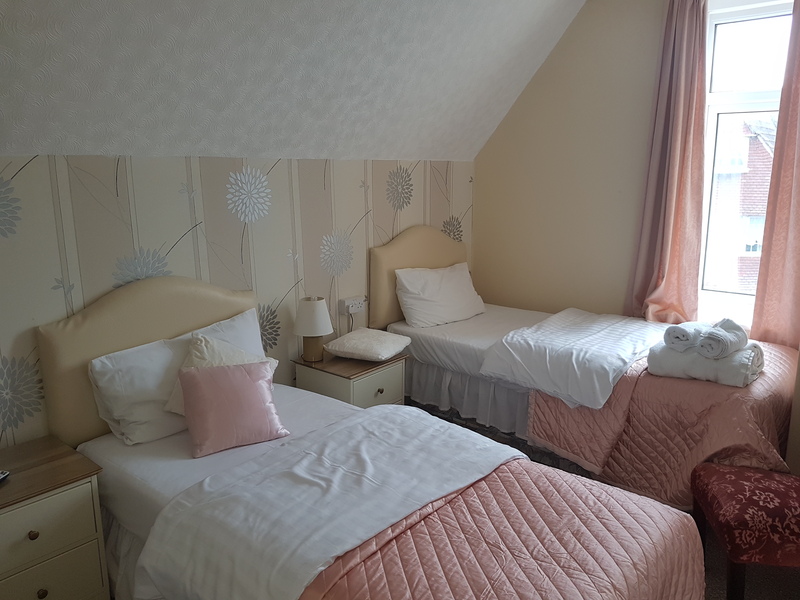 Room 11 is a twin room situated on the second floor, comprising of two comfortable single beds, plenty of wardrobe and cupboard space, a hair dryer, and a remote control TV with built in free view and DVD player. Free WiFi is available. A full tea and coffee tray and fresh towels are provided daily. 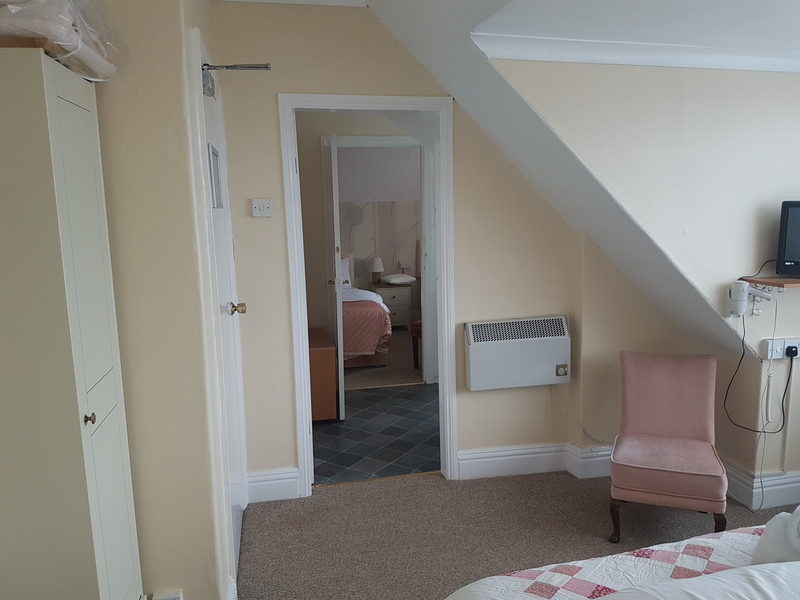 This room is joined by a bathroom to room 12, making an ideal family unit. the connecting door can be locked making it a twin with its own private shower room just across the hall. The shower room comprises of a shower, toilet, wash hand basin and a range of complimentary toiletries.